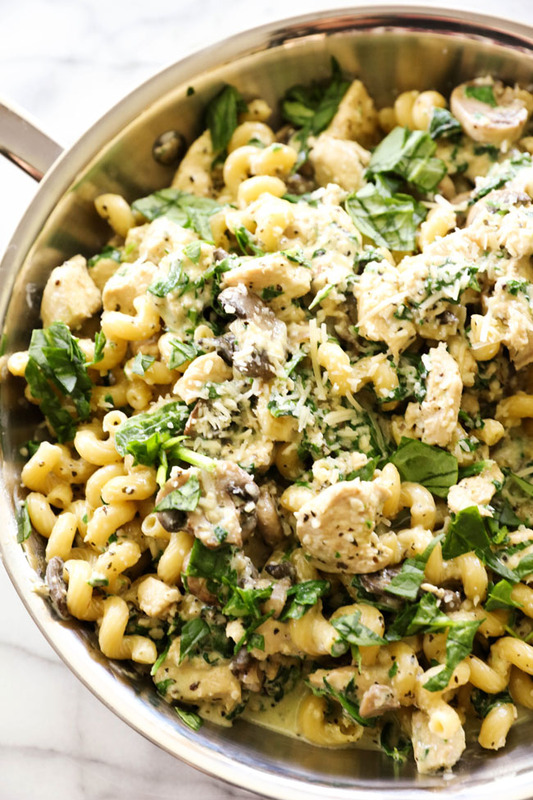 Most one pot meals come together in 30 minutes or less and are extremely freaking delicious! 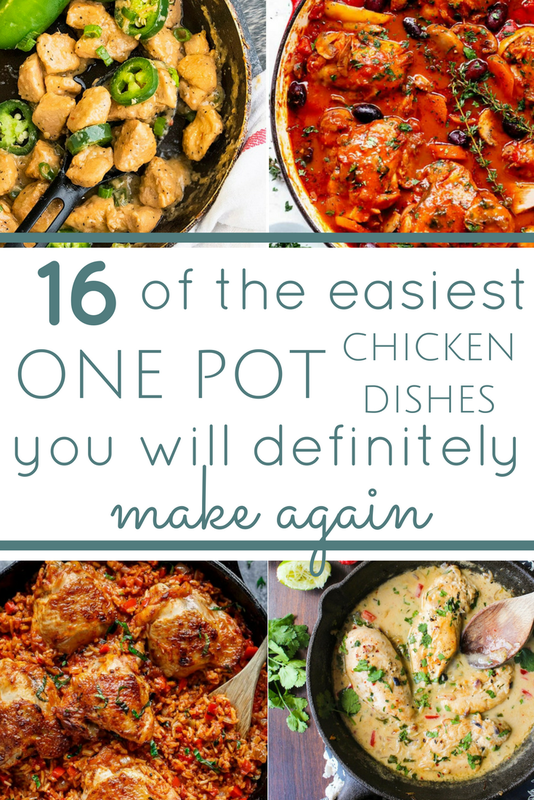 Due to the aforementioned chicken hoarding issue- I decided a whole post dedicated to one pot chicken meals was wildly appropriate. Enjoy! Packed with flavor and obviously freaking gorgeous, this easy one pot meal would be delicious served over just about anything; pasta, rice, zucchini noodles, mashed potatoes...or just with a fork. Amazing cajun flavors all combined in one beautiful dutch oven. Sausage and chicken with a punch of dirty rice deliciousness, yes please! Combining classic flavors this dish is super quick and healthy as well! Score! Oh hello beautiful pasta dish. I love being able to toss the dried pasta right into the sauce as it simmers, perfect time and dish saver! Using chicken thighs increases the flavor and tenderness of this dish. Toss all the goodness together and let it simmer! Heavenly! I know what you have all been thinking, where. is. the. bacon. It is here, have no fear. You will want to make this one thousand times over again. You know what makes an dish better? Potatoes. Cooking the chicken and potatoes AND sauce in one pan is genius and perfect for the lazy but hungry cook. Chicken parm is one of my absolute favorite Italian dishes. I love this one pot adaptability! Packed with flavor and convenience, you will love it for sure. Combining a main dish and a side in one pan makes this dish pretty genius. The fresh flavors make this dish a light and healthy option. Taking the flavors from the dirty rice recipe above, this recipe adds a hint of decadence and comfort. I love classic chicken pot pie, but sometimes it is a struggle to find time to bake it after a long day at work. This dish speeds up the process by making a classic comfort dish available in 40 minutes start to finish! Again with the practicality of a dutch oven! A spin on a classic, this dish combines ham and chicken with creamy goodness and is on the table in 40 minutes! Score! Just in case ya need a little spice in your life! Whew! Fresh jalapeños meet a creamy sauce in this fantastic dish. Oh yeah, its ready in 30 minutes too! This Asian cuisine inspired dish is full of flavor and super easy to make! Perfect flavors come together for a new and exciting weeknight meal. Gorgeous and bubbly cheese. Check. Mexican inspired cuisine. Check. Packed with flavor. Check. This recipe is so unique and looks absolutely amazing! This will surely get you out of your boring weeknight dinner routine! Whew! 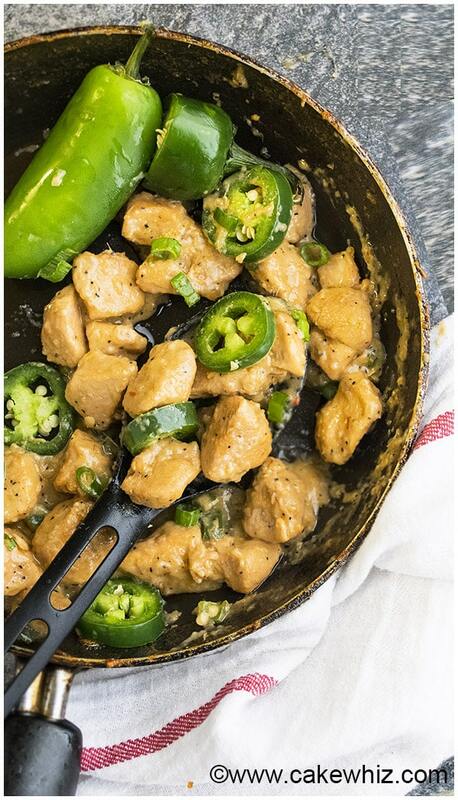 One pot chicken meals that are so simple and never boring! If you want some extra dinner ideas, check out my time saving sheet pan recipes and Keto Dinners ready in 30 minutes or less!